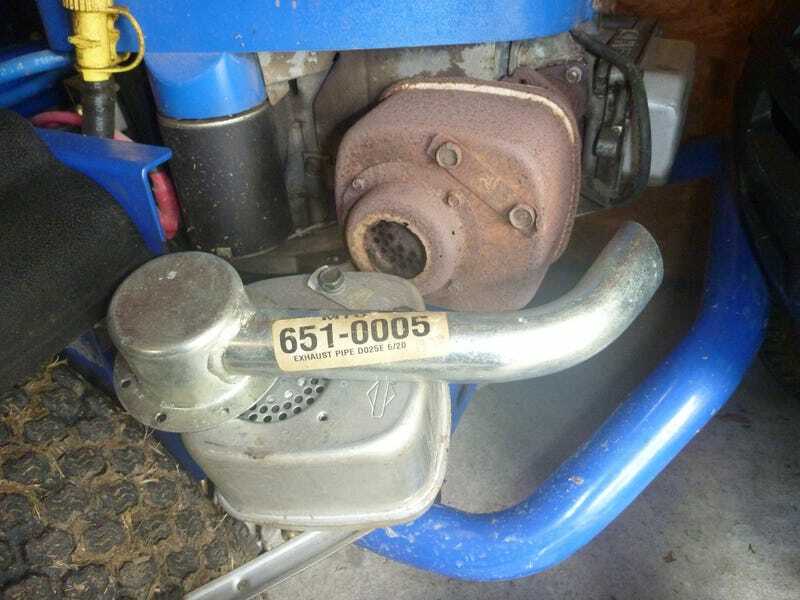 Replaced the rusty and noisy muffler on my lil blue zero turn. Found one on the web that has an exhaust pipe! Bracket is not the same for this model, but it sits perfect on the frame and not like it weighs very much.